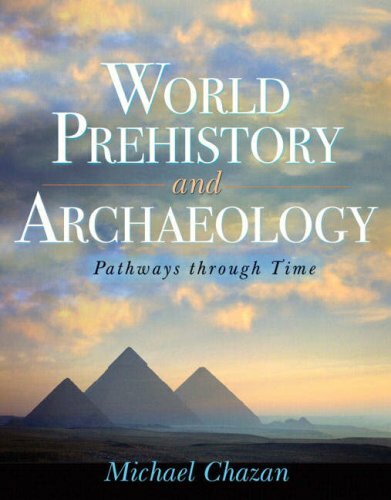 World Prehistory and Archaeology: Pathways through Time integrates world prehistory with a discussion of archaeological methods and techniques—emphasizing the relevance of how we know what we know about our human prehistory, providing the tools to allow for a lifelong engagement with archaeology and drawing students into the process of archaeological research and discovery. Chazan brings students right up to the cutting edge of archaeological research by presenting the most recent discoveries and theoretical perspectives. How we know the past is inseparable from what we know of the past. This new text allows students to see that archaeology is a dynamic field in which knowledge is continuously refined through scientific inquiry while providing a sense of the relevance of archaeology in the contemporary world. As the cornerstone of this book is to present an integrated picture of prehistory as an active process of discovery, we cannot relegate methodological issues to the opening chapters alone. While the introduction to archaeological method in the first two chapters is necessary, the questions of how we know the past cannot be abandoned at that point. A number of features have been developed to draw together an integrated presentation of prehistory throughout the entire text. I got it within the weekend as I lived in the same state, so I didn't have to worry about falling behind in class. Written by one of the leading archaeological writers in the world–in a simple, jargon-free narrative style–this brief, well-illustrated account of the major developments in the human past makes world prehistory uniquely accessible to complete beginners. World Prehistory covers the entire world, not just the Americas or Europe, placing major emphasis on both theories and the latest archaeological and multidisciplinary approaches. The main focus is on four major developments: the origins of humanity; the appearance and spread of modern humans before and during the late Ice Age- including the first settlement of the Americas; the beginnings of food production; and the rise of the first civilizations. I'm very happy with this purchase... it was in excellent condition and came very quickly.Thank you. Man's innate curiosity with their past has given birth to sciences that attempt to satisfy such curiosity. Brian Fagan, an archaeologist himself, outlines brilliantly the major developments of humankind in prehistory, from that scientific perspective. Sophisticated theories and tools from disciplines such archaeology, biology, ecology, geology and even genetics and psychology are elaborated for the general reader. 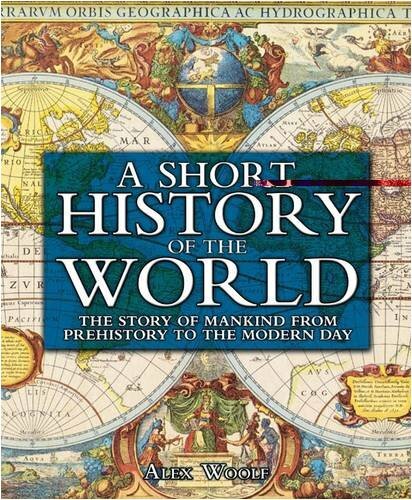 Utilising such diversity of disciplines, World Prehistory introduces to the reader, the developments of humankind- the origins, exodus and migration of man, food production and state formation- from the earliest times especially before written records were available. Even before Fagan gets into details, he outlines the scope of the book and distinguishes the discipline of archaeology insofar as it is scientific, rigorous and it utilises tools and expertise from other disciplines. Throughout the book, there are scientific archaeological explanations in the form of theories, data and methodologies and at the very onset, the author derides the "romantic world of high adventure and exciting discovery" connected to pseudoarcheaology, which to him belongs to the "realms of religious faith and science fiction". The book is divided into 4 parts in a generally chronological arrangement. The first part introduces to the reader the study of human prehistory with succinct explanations of the concepts of history, culture, space and time. Part 2 outlines scientific approaches to explain the origins of mankind and his relationships with other primates. The author draws evidence from geology, genetics and most importantly, paleoanthropology (the specialized study of human bone remains). Part 2 also presents one of the most controversial questions in anthropology, that is the path of migration of modern man. The author favours the "African exodus Theory"" and describes it in detail. Part 3 is a discussion of the birth of the modern world with special emphasis on the origins of food production, one of the hallmarks of ancient civilisations. The book culminates in Part 4, with very broad discussions on ancient civilisations in Western Asia, Africa, South, Southeast and East Asia and the Americas. 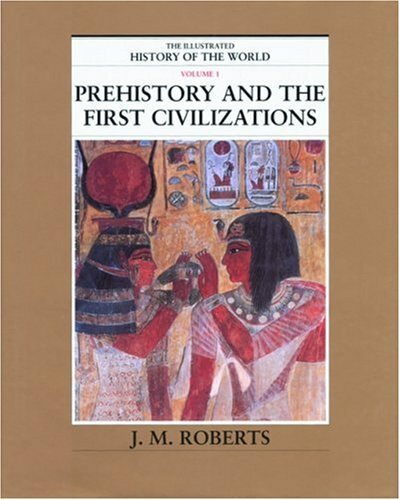 As an introductory book to world prehistory, it lacks detailed study of other aspects of prehistoric mankind's developments especially in the fields of language, religion and a new, exciting and only recently explored field of psychological archaeology, dealing with the minds and thinking of the earliest humans. The latter, the author concedes, must go beyond material remains and develop new ways to explore the minds of the earliest humans and understand why they developed the way they did. However, as with most introductory books, World Prehistory can only describe its subject matter at surface level. However, after reading the book, I have obtained a general sense of the methods and theories that attempt to explain with the period of human history which was not recorded in writing. With so many theories, methods and even non-scientific explanations of mankind's ancient past, World Prehistory is a good book to introduce a reader to the latest and most widely accepted tools, methodologies and theories. "Great value - great shipping (time) - answered no to second question --- top edge of both covers had a serious shipping "dent" that better packaging might have prevented (instead of just a vinyl envelope, as mentioned by other customers) - Vinyl envelope does NOT do the job!!! The cheap packing allows more profit on shipping charges - suggest spend 15 - 20 cents on bubble wrap. Thanks --"
This book is the first volume in the wonderful Illustrated History of the World Series. This one covers human history from the evolutionary advent of mankind, through the earliest civilizations, Mesopotamia, Egypt, and finally the Assyrian empire. Along the way, the reader is treated to many colorful maps and pictures, and interesting sidebars. This book is very good, and a give a nice start to a wonderful series. I found the book to be interesting, and quite accurate in its data. Overall, I liked the book, and highly recommend it. 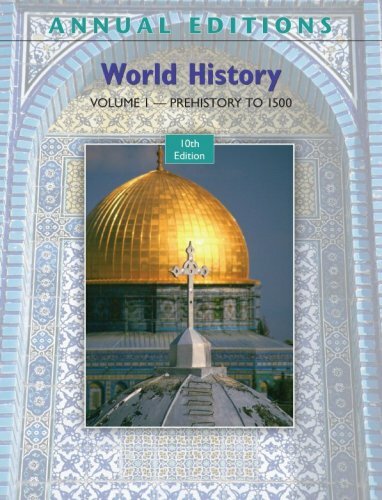 This is volume one of a ten volume series called The Illustrated History of the World. 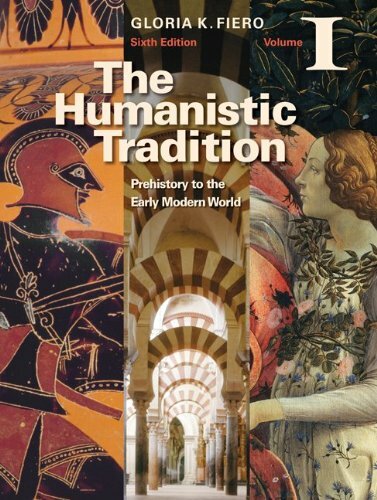 This first volume covers the origins of the human race through the first civilizations. It is divided into two sections There are three chapters in the first section which is called Before History. The first chapter is on our primate precursors. The second chapter deals with early Homo Sapiens, and the third chapter discusses the earliest beginnings of civilized behaviors like agriculture, animal domestication, metallurgy, and community life. The second section covers the earliest civilizations and consists of four chapters. Although the book states that there are seven ancient civilizations (Mesopotamia, Crete, Egypt, India, China, Meso-America, and the Andes), it only focuses on the two earliest: Mesopotamia and Egypt. The second volume in the series discusses the early cultures of India and China and then moves on to discuss the early Greeks. 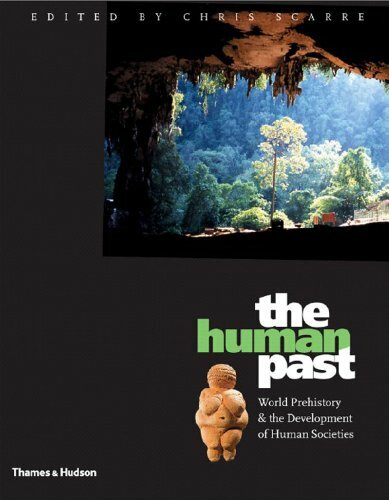 The Human Past has established itself as the most authoritative introduction to social, cultural, and economic developments in human prehistory.Using a regional and chronological framework, this groundbreaking bookhighlights the enormous diversity of human experience and the ways inwhich archaeologists are able to learn about it. Professor Chris Scarre has seamlessly integrated the work of aninternational team of archaeologists from North America, Europe,Australia, and New Zealand. 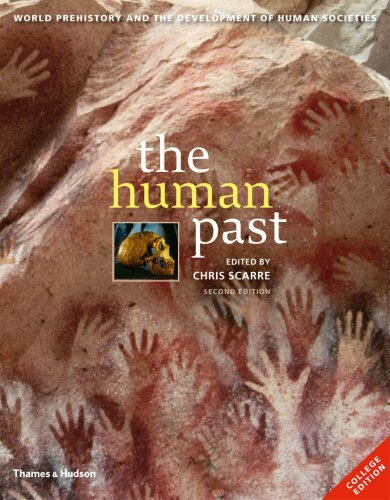 The result is a unique textbook thatengagingly and comprehensively embraces the entire expanse of humanprehistory while also offering the most up-to-date accounts of separateregions and periods by the leading specialists in these areas. There arehundreds of maps, diagrams, and photographs, many in full color, aswell as timelines and boxes on key sites, methods, discoveries, andcontroversies. 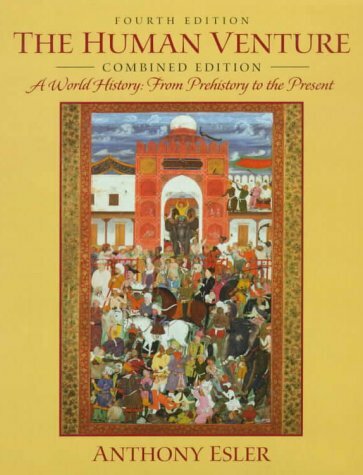 The Human Past is an indispensable guide to world prehistory & introductory archaeological methods.It is an edited volume with each chapter written by one or two experts focusing on a particular region/time period.The result is that each individual chapter is a stand-alone synthetic treatment of, for example, the prehistory/archaeology of Holocene Europe or South Asia.Equal treatment seems to be given to both New and Old World developments, a quality many other World Prehistory Textbooks lack! A groundbreaking introductory world prehistory textbook that presents the vast panorama of human social, cultural, and economic development over three million years. Unlike other books on prehistory, The Human Past recognizes that the wealth of archaeological research is now too great to be competently within the grasp of a single expert. Here a team of leading archaeologists from North America, Europe, and Australasia, well-known specialists in their fields, provide a seamless, authoritative account of human prehistory. The Human Past highlights the enormous diversity of human experience and the ways in which archaeologists are able to learn about it. It provides an introductory account that takes the student through the human past on a regional and chronological framework, focusing as much on the archaeology of the everyday as on the spectacular and unusual. The text is accompanied by hundreds of specially commissioned diagrams and photographs, many in full color, that illustrate key sites, artifacts, and regions, as well as clear timelines and maps for each chapter. This two book set is the same as the old Anchor Atlas of World History though volume 2 has been updated to bring the set more or less to the present.I fell in love with the Anchor Atlas set to the point I wore out my first set so I bought a second set.Then the publisher took the book out of print.It stayed that way until the last couple of years when Penguin took over. These atlases are perhaps the most comprehensive of any similar books on the market.One or two come close, but I think Penguin's atlas is still the best if you are looking for a brief overview.Critics say the print is too small or the content is not detailedenough.I disagree with both criticisms.I believe a historical atlas should be brief.The intent is to cover an event and depict it in maps.If in depth analysis is wanted, then find a book dedicated to the particular topic. I bring these books with me whenever I travel and want something to read.In fact, back in high school we had a group assignment of what books we would bring along if we were to be stranded on a desert island.I convinced my group these books were worthy of such a list.With them back in print I can finally discard my first set (the glue binding disintegrated leaving me with single pages.I bought this set to the cabin for casual reading up there.Now I can bring my first replacement set up there. I just can't say enough good things about these books.I did notice a flaw in a map label in volume 2 that has not been corrected since the initial publication.In a map showing the early United States they label as "Minnesota Territory" those lands which were originally the Wisconsin Territory after Michigan gained statehood.This flaw leads me to wonder about other maps whose labels I'm not as well versed it.But overall I still remain very impressed with this set.Anyone who buys this set for what it is: an introduction to the topics it presents accompanied by detailed maps, will not be disappointed. I have loved maps and history for longer than I care to admit and I was fortunate enough to have a father who shared these interests and provided a fertile and far-ranging "garden" of books for my edification and enjoyment growing up.One of my favorites was this book.The story skips ahead many years--I decided to look for this book, which had been out of print or at least unavailable for a long time.I found it here on Amazon and ordered it, along with another larger highly touted atlas from another publisher (rated #1 by another reviewer).Much to my delight and surprise, the Penguin atlas has aged quite well (to be expected given the period covered).Its strength lies in the abundance and thoroughness of the map coverage--where other atlases give one map, this one often gives three or more--and in the "extracurricular" material such as diagrams illustrating governmental organization.Incidentally, I was sorely disappointed in the other atlas, which cost far more and sported foolish and uninformative cartographic projections as well as such vast lacunae in coverage as to render it virtually worthless as a serious reference. As I see it, the heart of any atlas worth its salt must be its maps and this compact, user-friendly little volume offers such a wealth of these that it exposes other historical atlases as the patchy, inadequate waste of paper most of them are.I don't buy an atlas for text--though this atlas has excellent if necessarily skeletal narrative accompaniment--I buy it for the maps, to complement my reading.There's nothing sillier than an "atlas" that overdoes it on the text at the expense of the maps; oddly enough, Penguin also publishes some of what I consider the worst atlases available today (see their atlas of the Roman Empire for a prime example)--go figure. Really this atlas does everything right.My sole complaint is the small size, but this could just as easily be considered a plus (for portability, ease of use, etc. ); if only there were a large format historical atlas to match--I'm still looking for a worthy counterpart. I am providing the same review for Volumes I and II. 1)Consolidated edition, larger print and larger pages.The gold in these two volumes is devalued by the reductions.Enough.Update it for 2009 and let's get it right.It makes no sense to have to use one volume for the Middle East prior to the French Revolution, another for afterwards. 2.I could not find, in the book or via an online search, an online version of the consolidated books or even one of the books.I regard it as *essential* that Penguin begin to transition all of its excellent knowledge, and especially its atlases, into interactive online form so that one can, for example, flip through any region or topic (e.g. Islam or US imperialism) and "see" history passing before one's eyes. I am deeply impressed by the quality and focus on Penguin Publications.It's time they discovered the 21st Century and the demand of Digital Natives as well as global strategists for coherent holistic online visualization and sense-making. This entire series is superb and is absolutely essential for any lover of historical atlases. I have been an owner of virtually all of them for at ten years and I can honestly say that they are most read books of all that I own. The reason is their unique portability and scope. Most historical atlas are huge, heavy and expensive. They are difficult to read unless you are sitting at a table and very difficult to carry. This limits their utility (even though I still love them). Most history books have lots of dense detail about one nation or one period. Virtually none cover the broad sweep of an entire region over centuries. 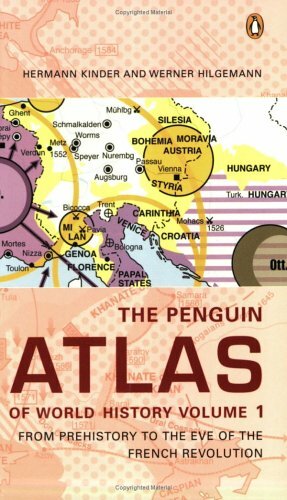 While the Colin McEvedy line of Penguin Historical Atlases (which I highly recommend) is more map oriented, the Kinder/Hilgemann line is much more text oriented. It starts in the late 18th Century and ends just after the Cold War. As its title suggests, it literally covers the entire world, although it is heavily biased towards Europe. In an effort to cover everything, the authors makes frequent use of abbreviations and symbols. This is a little annoying, but you get used to it. Like all Penguin Historical Atlases, it is small, light, reasonably priced and incredibly broad in scope. These atlases offer a unique perspective on history than is otherwise impossible to achieve. Their size and weight make them perfect for travelling. Whenever I go on a trip, I take the most relevant ones with me. That way I can brush up on my history of the region. What is most fun for me is to trace the history or one nation, province or sub-region through the entire atlas. In just a few minutes I can learn as much as spending days reading an entire book. You can also see how individual nations interact with each other, a subject often left out of typical history books. Item was exactly as described. Quick shipping and packaged well. Would buy from this seller again! 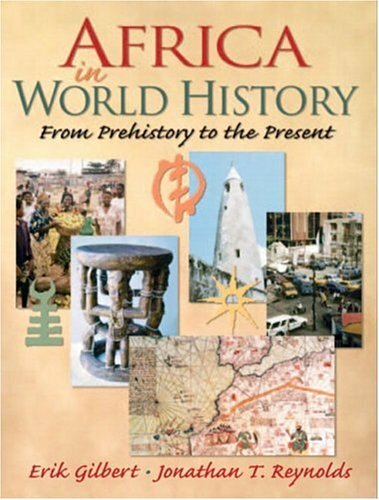 I found this to be a excellent introduction to African History.The authors present the complexity of African History very well and do so in a way that is respectful to Africans.I especially appriciated the attention to common mistakes about Africa. This book is good, except it does not use the most academic language. It seems to be for high school or middle school readers rather than college or beyond. 12. 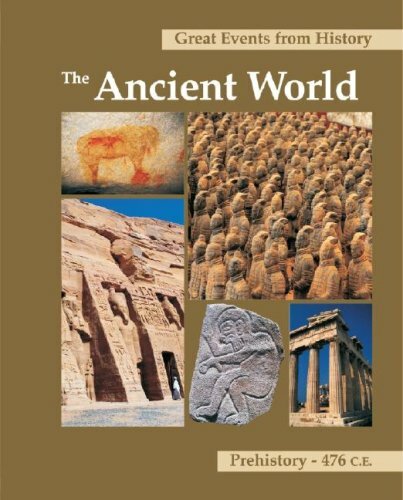 Great Events from History: The Ancient World : Prehistory - 476 C.E. I, too, read this book in college. I was checking Amazon to find information about the current Edition - I read the other two reviews and felt compelled to write the following review based on the edition I own (7th Ed., 1992). 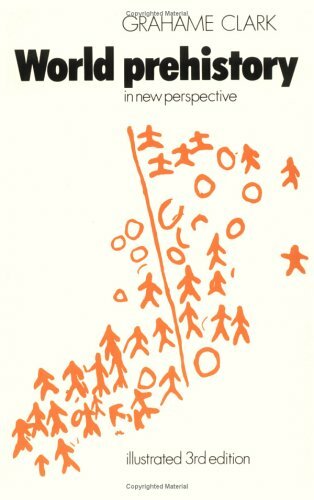 This book is an excellent survey of the origins of humans and human society/culture from an anthropological perspective, i.e. theories and interpretations based on the material record. The 7th edition is divided into six sections, the first three of which include an introduction to studying prehistory, the earliest humans, and a regional preview of the earliest finds. Section 4 is devoted entirely to the development of agriculture around the world. The current edition may be organized differently, of course...my point is that this is a book about 'Prehistory', the archaeological record, and theories of the formations of human societies and settlements (as opposed to classical history/western civ). After four of the six sections, you've read 14 chapters and some 400 pages and you're just getting to the earliest known cities, circa 8,000 BCE. Fagan necessarily devotes a lot of space to the evidence and possibilities of agriculture, but there is much more here: diagrams of sites, explanations of the artifacts and technologies, other evidence (e.g. pollen found in deep sea cores, paleo-climatology, etc), great maps, timelines and photos, interpretations and speculations to make you ponder. The material can be dense and the writing style may be too 'old-world academic' for some tastes, but the book contains a wealth of information and the average college reader won't require a dictionary on every other page to get through it. A rewarding, if sometimes challenging read. 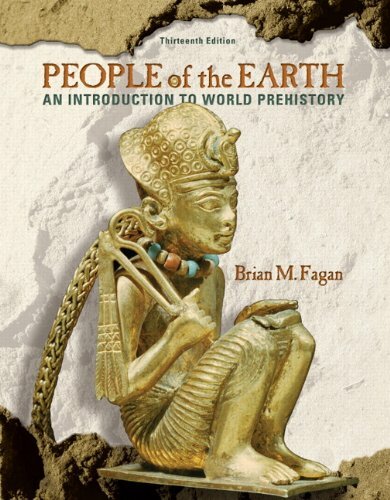 "People of the Earth" is not the first of Fagan's books I have read; I studied "Clash of Cultures" for another purpose, although it allowed me to learn the author's style. Fagan is often perceived as "wordy" by most students, but I refuse to carry such a pernicious, pejorative burden in my critical rhetoric. I must acknowledge that here, as in "Clash of Cultures," it seems he devoted more time than necessary to certain subjects, perhaps revealing a certain degree of bias. I posit that he is not biased as much as he is esoteric. 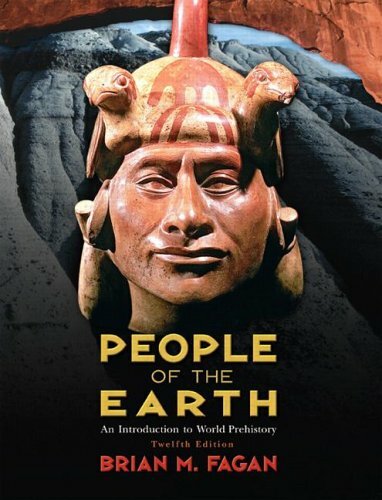 "People of the Earth" is a worthy, detailed introduction to world prehistory, mentioning more detail than many university courses will synthesize. The prose in this text is occasionally challenging but ultimately enthralling if held to closer inspection. Oddities therein may appear in certain instances, but to delineate them would be to disregard scope and argue from semantic analysis alone. This text is not perfect, but no text is ever perfect. 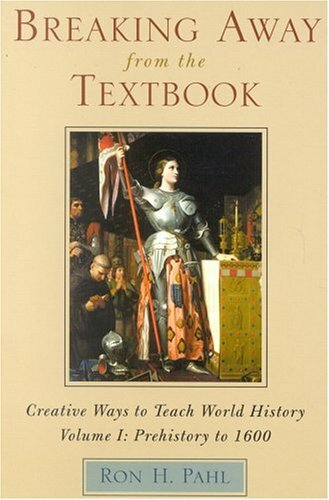 Still, it is an excellently accessible textbook given the breadth of information it must provide. Uninformative, unhelpful, uninteresting- a bore!! I read this book for a college Archeology course I was taking.I have always been facinated by the subject so I was excited for the class and I couldn't wait to get at the textbook.To my great disappointment, this is probably the worst text I have ever encountered. The auther takes three pages to say what could be summerized in a few paragraphs.His intent in writings seems to be more along the lines of trying to impress the reader with his intelligence rather than trying to give good information. What frustraited me most was the KINDS of information he gave on different cultures.He litterally spent over half the book talking about the migration habits of the various forms of prehistoic man around the world; and then litterally only THREE PAGES covering ALL of Greek and Roman history. I am wondering if the rave reviewer of this product is related to or paid by the publisher.The lesson ideas were stale and at or below average creativity level.What's more, no support materials are included for any of the "phenomenal" project ideas presented.Examples of ideas include your standard letter writing, map drawing, journal entries, craft creating etc.Yet, not even any included rubrics to aid on prep time (which of course was my purpose in purchasing this book).This book does not decrease prep time and anyone with half a brain could come up with the ideas.Since the entire implementation still rests at the door of the teacher - with or without the book, I say, save your money. Have you seen World Prehistory and Archaeology: Pathways through Time yet? World Prehistory and Archaeology: Pathways through Time integrates world prehistory with a discussion of archaeological methods and techniques--emphasizing the relevance of how we know what we know about our human prehistory. It provides the tools to allow for a lifelong engagement with archaeology, and draws students into the process of archaeological research and discovery. 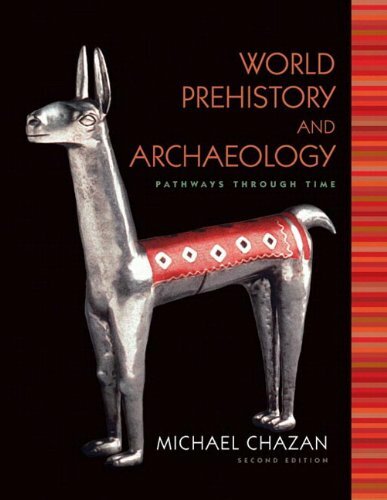 The author, Michael Chazan, brings students to the cutting edge of archaeological research by presenting the most recent discoveries and theoretical perspectives. For how we know the past is inseparable from what we know of the past. His text allows students to see that archaeology is a dynamic field in which knowledge is continually refined through scientific inquiry--while providing a sense of the relevance of archaeology in the contemporary world. 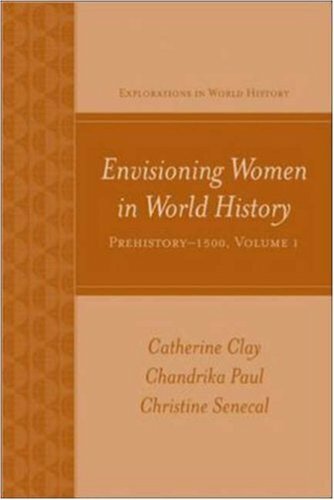 The cornerstone of this book presents an integrated picture of prehistory as an active process of discovery--where methodological issues are not relegated to the opening chapters alone. While the introduction to archaeological methods in the first two chapters is necessary, the questions of how we know the past are not abandoned at that point. 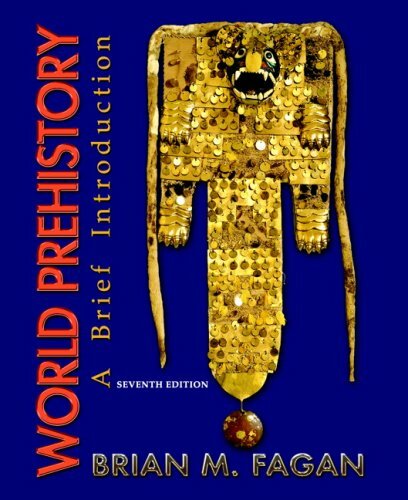 In fact, a number of key features--found within every chapter--have been especially developed for this text in order to draw together an integrated presentation of prehistory for students. So what are you waiting for? Contact your local publisher's representative today for YOUR review copy and see how World Prehistory and Archaeology will be able to draw YOUR students into the amazing world of archaeological reserach and discovery! For decades the issue seemed moot. The first settlers, we were told, were big-game hunters who arrived from Asia at the end of the Ice Age some 12,000 years ago, crossing a land bridge at the Bering Strait and migrating south through an ice-free passage between two great glaciers blanketing the continent. But after years of sifting through data from diverse and surprising sources, the maverick scientists whose stories Lost World follows have found evidence to overthrow the "big-game hunter" scenario and reach a new and startling and controversial conclusion: The first people to arrive in North America did not come overland -- they came along the coast by water. I read a great deal of nonfiction, and a lot of books in the "paleo" category--many can best be described as "roaring bore"...NOT this one. This book, although filled with all sorts of interesting science details and information, also reads a bit like Bill Bryson...giving it the "stranger in a strange land" sort of effect you find in the best of travel writing. Even if you haven't got a background in geology or anthro, and the last time you heard of the "land bridge" to North America was 30 years ago in grade school, you will easily be able to follow the science & arguments made here for an alternate immigration scenario, and be able to appreciate the dedication and behind-the-scenes hard work of the scientists who have come up with the newer theories and the artifacts that support them. I recommend this for anybody who was fascinated by the Nat. Geo. 's Spencer Wells, readers of Dr. Bryan Sykes (both on DNA studies of human migrations)...or anyone who just has a hankering to know about prehistory. Lively and interesting narrative surrounds the technical info, making it easy to read and digest. For those of us who were never quite comfortable with the concept of trekking through the ice-free corridor (how desperate do you have to BE to get away from your in-laws?? 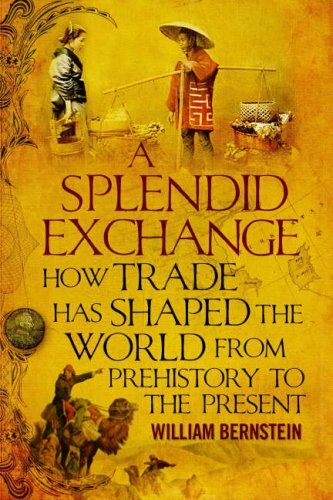 ), here is a smart, alternative explanation for the discovery and settlement of the Americas. 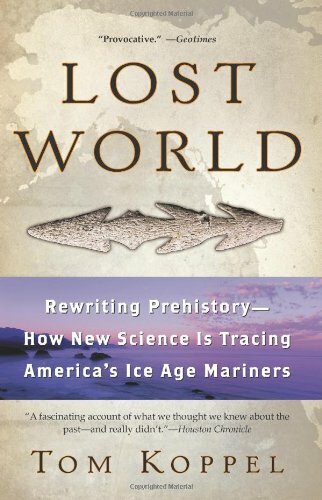 Both a good summary of past ideas about the peopling of America, and a hands-on viewpoint of several specific searches.Unfortunately omits needed maps, index, and bibliography.Good for a first-time reader in the subject, with archeologists named (within the text) for further reading. This is a narrative tale of how contemporary research is overturning long-held assumptions of how the Americas were first populated. It supports the new paradigm that the first Americans followed a coastal migration path from Asia, a path that has been largely submerged by the melting of the glaciers at the end of the last Ice Age. Part of the fascination of the book is its detailing of how scientists are trying to overcome the tremendous challenge of looking for artifacts that may be hundreds of feet under water, and succeeding. The other fascinating aspect is the demonstration of the all-too-human side of science: how egos and the competition for recognition can actually slow the discovery of new knowledge. This is where the story benefits from being told by a journalist - Koppel makes it sound like a suspenseful drama told in human terms.In comparison, as a lay reader I found archeologist Tom Dillehay's "Settlement of the Americas" too caught up in academic minutiae to be readable. Some reviewers have faulted the author for injecting too much personal commentary. Aside from an unfortunate lapse where he names an early relic hunter and then labels him a "blockhead", I personally felt that his narration improved the account by providing a layman's perspective on how dedicated and specialized these scientists are in their approach. An excellent, highly readable overview of the people and ideas that are changing our view of American prehistory. As an avid student of Native American history, I found this to be a fine "sitting by the fire" read.It contained enough technical info to keep it from being simplistic and tied together a lot of emerging information about the possible settling of the new world by sea.This area of great conflict among archaeologists deserves a lot more study than it is currently getting.Hopefully, this volumn will direct the interest of more people in this direction. My five-star rating is based on this being a very interesting book on it's own to many people without extensive knowlege in the field, not to be compared with more technical volumes directed more toward hard-core professionals or academics.